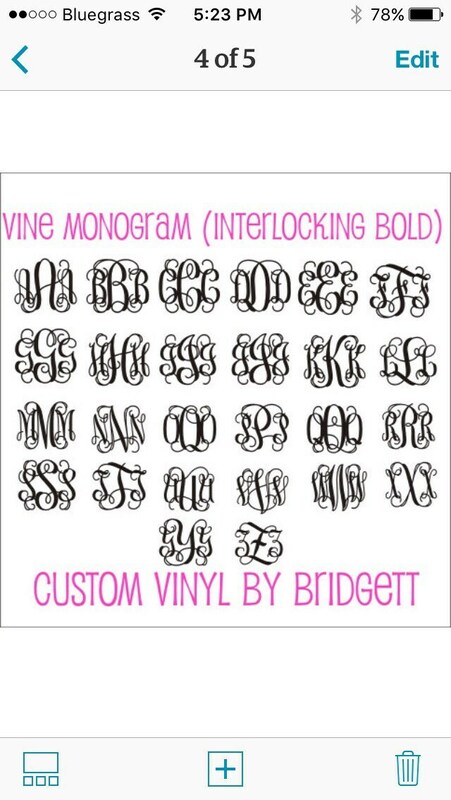 This gorgeous monogram decal would be perfect in any room of your home! It would also make a wonderful gift! Vinyl is applied in minutes, giving you a hand painted look without the time, mess or expense of paint and stencils. Use this decal on the wall, or apply it to a canvas or glass frame, like shown in the example photo. ****PLEASE NOTE**** This listing is for the DECAL ONLY! The frames are NOT included in purchase price. They are used only as props to give you an idea of how versatile vinyl is. 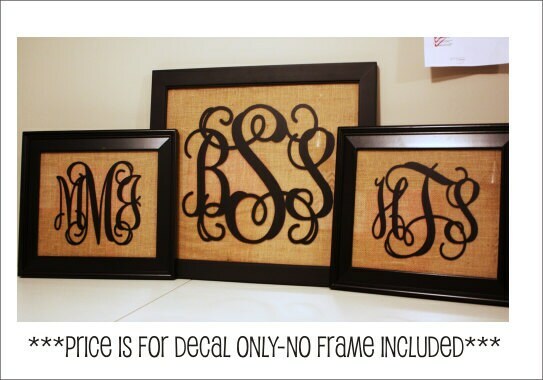 These are burlap backed frames. You can purchase frames at most craft and/or big box retailers. 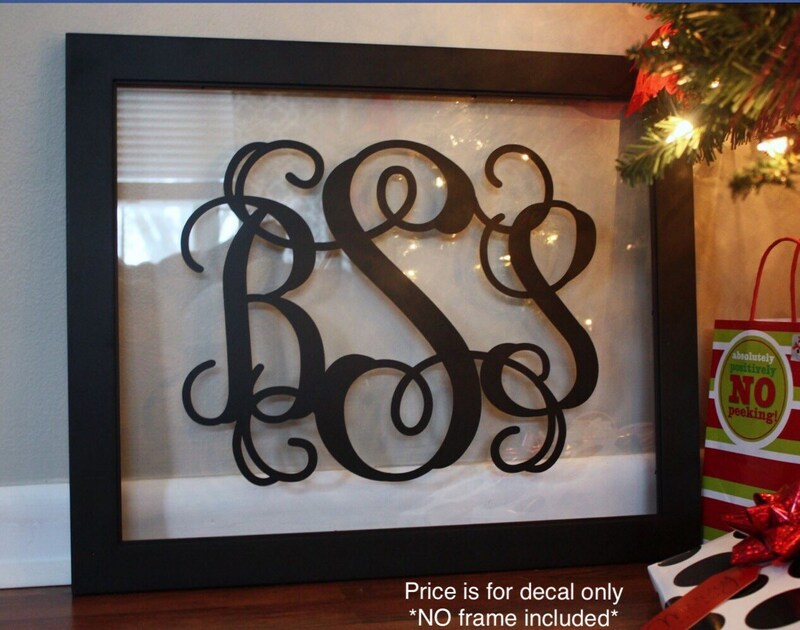 This monogram comes in several different sizes. Please make size and color selections from the drop down menus in the upper right-hand corner. 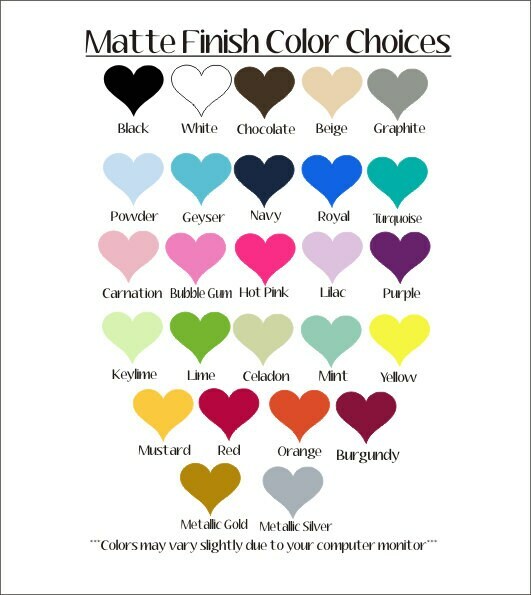 Please be clear about monogram and monogram order. Not doing so will only delay production and shipment of your order. I cannot be held responsible for monogram order mistakes. Please feel free to convo me if you have any questions about this. I put this on a clear floating frame for a Christmas gift. I put this on an old window. Sticker had been folded or something and I couldn't get the bend completely out. It will be on the wall so not noticeable. Perfect. Exactly what I wanted. Great quality. Beautiful! Just what I expected! Super fast delivery too! This is a Christmas present so it has not been applied to the wall yet. I did apply a small one to a cell phone and it was quite easy to do!